Read that description again as you look at this opening shot. Those are not green sprinkles. This is not some green ice cream flavored with artificial mint flavoring. This has actual mint leaf bits spread throughout the ice cream. To put it simply, it's like no mint I've had before. For those that visit trendy shops like Odd Fellows or Salt & Straw, you've problem come across a crazy flavor like this before, but for those of us that live in the simpler freezer aisle, it's a bit much to handle on the first sampling. On instagram, I joked that it tastes like a Christmas tree. Thoughts of Pine Sol also came to mind. I don't want to say that it's terrible, I'm just trying to stress what an odd experience it was for me having never had anything really like it before. At this point I would like to point out that the teeny tiny dark chocolate chips do little to enhance this ice cream. I'd rather seeing bigger chips so that the chocolate could balance things out and make this one seem more traditional, or if you wanted to go more crazy, why not pick something like graham crust to give it a mint pie feeling. If you're walking on the edge, why not set up camp and go for broke. Keep in mind that I write these comments after having eaten a good third of the pint, so again I stress that despite my comments, this isn't a terrible flavor. Instead, this is the kind of flavor that needs to go back in the fridge so you can really reset your mind and adapt for the second scooping. On Second Scoop: Definitely less shocking on the second scoop and I also wonder if ones eating speed contributes to how much you notice the underlying robustness of the mint flavor. On one level, it is a traditional mint flavor, but there is a second layer that is like... like... buying some organic mints or something. I don't eat enough minty things to have a good comparison, but I think at this point you know that you shouldn't try this one unless mint is really your thing. P.S. Still can't endorse the super small chocolate chips. What makes it "dirty?" That adjective, when used with food, is a mystery to me. There's a Dirty Burger fast food place that recently opened, all menu items are described with variations of "dirty", but i have no idea what that means, and I know the dictionary isn't gonna help me with this one. HA! I wondered that myself when cracking open this pint. I'd hazard a guess that the "dirty" comes from the fact that it's actually leaves in this ice cream and not some kind of extract. That sounds like a good reason right? Man I wish I could have liked this. Like I said on your Insta I just couldn’t get passed a serious grassy taste. Like I went outside and started pulling up turf and noshing it. Didn’t get any brown sugar flavor and as you said chocolate was disappointing. I had the opposite experience as you however and the more I ate it the worse I felt. It just kept building. I can count on one hand the number of pints I haven’t finished and sadly this is one. I actually tell people to try this one ONLY if mint isn't their thing. I loathe mint ice cream but adore this flavor because it's got the wonderful herbal roundness of meat leaves. @RabbitGirl it's 'dirty' because it's speckled with mint leaf bits. I love this flavor. I think it is so refreshing - I love the use of natural mint. 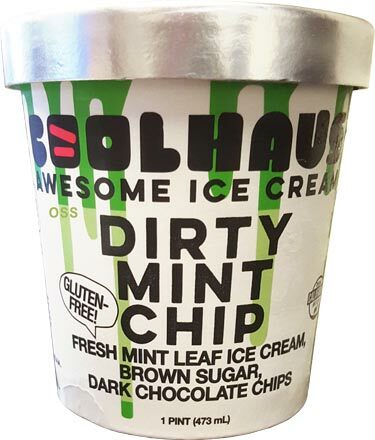 There are mint flavors that lack chips - they just seem to be high end ice cream. 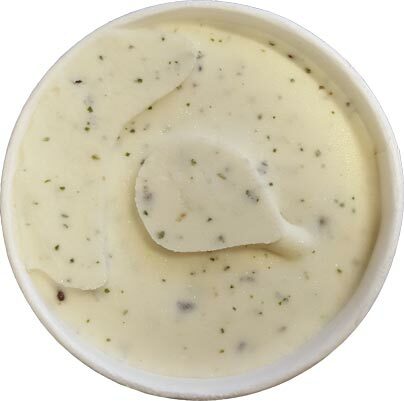 That said, at Christmas time, peppermint ice cream is available quite readily - and it usually lack chips. I know that’s different than mint ice cream, but it’s a close cousin. I have had this flavor many times and I truly think its the best mint out there. Its the only one that I see that is not bright green and "fake" looking. I can't get enough of this one. Why is it "dirty"? Because we use brown sugar in the base, which gives the ice cream a deep caramel punch and a natural light brown color. It is also "dirty" because we don't strain out the mint. I bought and tried this today for the first time. I rather enjoyed it. Was surprised to see your negative review. No, it's not like the sickening sweet, bright green fake mint ice creams. Thank goodness. 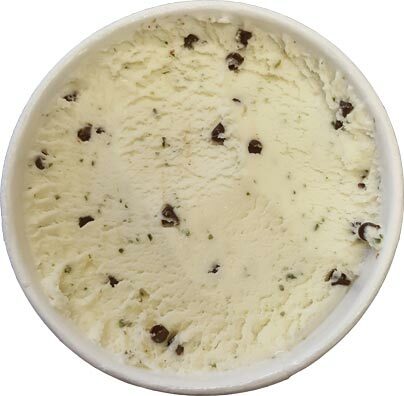 The real mint leaves are a wonderful touch and the "tiny" chocolate chips compliment it without overpowering. It's both subtle and complex. If there was more chocolate and in bigger pieces, it would take over the mint flavor. I'll definitely buy it again.